We’d love your help. Let us know what’s wrong with this preview of The Noel Diary by Richard Paul Evans. Bestselling romance author Jacob Churcher hasn't been home for almost twenty years—not since his mentally ill mother kicked him out of the house when he was just sixteen. When a lawyer calls, days before Christmas, to inform him that his estranged mother has passed away and left her house to him, Jacob returns not just to settle the estate but to try and reconcile with the Bestselling romance author Jacob Churcher hasn't been home for almost twenty years—not since his mentally ill mother kicked him out of the house when he was just sixteen. When a lawyer calls, days before Christmas, to inform him that his estranged mother has passed away and left her house to him, Jacob returns not just to settle the estate but to try and reconcile with the past and the pain and abuse he experienced as a child. Also, maybe cleaning out her house will be slightly less depressing than spending the holidays alone, watching re-runs of Christmas classics. To ask other readers questions about The Noel Diary, please sign up. Will this book become part of a series? Gretchen The book jacket indicates that it is the first in a series of three. Are events in the book autobiographical? Gretchen In the author's remarks at the end of the book he says that it is more autobiographical than most of his books. I've read a few Christmas books by Richard Paul Evans and since I enjoyed them, I thought I'd pick this one up. I was surprised that this isn't truly a Christmas story, but it does occur at Christmastime. Jacob Churcher is a successful author who's bitter about his childhood. Growing up with a mother who had mental instability has scarred him. He receives an unexpected phone call informing him that his mother has passed away and he travels back home to a house full of memories as he begins a jou I've read a few Christmas books by Richard Paul Evans and since I enjoyed them, I thought I'd pick this one up. I was surprised that this isn't truly a Christmas story, but it does occur at Christmastime. Jacob Churcher is a successful author who's bitter about his childhood. Growing up with a mother who had mental instability has scarred him. He receives an unexpected phone call informing him that his mother has passed away and he travels back home to a house full of memories as he begins a journey to heal. The story wasn't exactly festive or fluffy like I expected, but I still enjoyed it. It's a fast, light read. I thought the story was believable and it felt real to me. My only issue was the insta-love. "She looked at me with piercing eyes "You're still him, Jacob. You're still that sweet, bright-eyed little boy. He's still in you. And he is still living and vulnerable. Every time I read one of your books, I can feel his sweetness rising up from the pages like groundwater. And it's not just me. So do millions of others. That's why they love you. They feel it too..."
Opening a Richard Paul Evans book at Christmastime is like opening the door to an old friend and chatting about the latest happening in their life. As I turned the pages, instead of reading words, I was hearing his voice which, after 20 plus years, is so familiar to me. No matter where the story takes you, you can be certain that it will be filled with love, forgiveness, and hope--words that are synonymous with Christmas. How nice to have an author who always delivers a comforting book, with a feel-good ending during the holidays--a book that conjures up the warmth of a fireplace and the aroma of spicy gingerbread. It's a great way to start off this beautiful time of year. Each Christmas, Richard Paul Evans releases a new holiday-themed novel. This year in 2017, it was The Noel Diary and it was wonderful as expected. Raw, real, and full of perspective. It's about flawed parents and the consequences of their choices. It's about the children left behind searching for answers. It's about forgiveness, understanding, and grace. It was an incredibly satisfying Richard Paul Evans novel and I already can't wait for next year. Check it out. "There comes a Each Christmas, Richard Paul Evans releases a new holiday-themed novel. This year in 2017, it was The Noel Diary and it was wonderful as expected. Raw, real, and full of perspective. It's about flawed parents and the consequences of their choices. It's about the children left behind searching for answers. It's about forgiveness, understanding, and grace. It was an incredibly satisfying Richard Paul Evans novel and I already can't wait for next year. Check it out. After reading I noted these discrepancies: There is no mention of the title character having just become separated from his wife. (In fact, he talks about how he's unlucky in love and has failed to form a permanent bond with any woman) He lived in Idaho and his mother in Salt Lake City. I have no idea where the Oregon reference comes from. He did not travel home and find his mother's diary. He found the diary of the young lady who helped care for him during a difficult time in his life. (Her name was Noel). Bestselling romance author Jacob Churcher hasn’t been home for almost twenty years– not since his mentally ill mother kicked him out of the house when he was just sixteen. When a lawyer calls, days before Christmas, to inform him that his estranged mother has passed away and left her house to him, Jacob returns not just to settle the estate but to try and reconcile with the past and the pain and abuse he experienced as a child. Also, maybe cleaning out her house will be slightly less depressing than spending the holidays alone, watching re-runs of Christmas classics. But as it turns out, the house holds more than just difficult memories, Jacob’s mother had become a hoarder and he must excavate through two decades worth of clutter. As Jacob digs through the detritus, like an archaeologist, he uncovers many puzzling items including a diary left by someone named Noel, a young woman he has no recollection of, who stayed with Jacob’s family during her pregnancy. That’s not the only echo from the past. Jacob has an unexpected visitor, Rachel, a woman looking for the mother who put her up for adoption thirty years before. United by their quest to make sense of the past and rewrite their futures, Jacob and Rachel begin a search for Noel. Along the way they find more than they possibly imagined, including grace, forgiveness and a chance at love. Richard Paul Evans made his name with his Christmas novels, every one of which has appeared on the New York Times bestseller list. Fans, reviewers, and booksellers treat the arrival of a new Evans holiday novel as an annual rite, and 2017 will be no exception. True rating is closer to 4.5 stars. As I've said so many times before, the timing when reading a book sometimes plays a significant role in the way a story will impact (or not) our life. I can say I picked this book up at the exact time I needed it. I blubbered my way through this story of second chances and more importantly being open to accepting love, not only romantic but from parents, friends, even God. The message here is profound but given in such a subtle way I fear it will be overlooked by many. I have heard good things about Richard Paul Evans feel good Christmas stories. (Although I'd say the Noel Diary does not really have a Christmas theme per se). So when the opportunity presented itself I picked up a few of his earlier books at a used bookstore. Unfortunately, I have not gotten around to reading any of them. Although I am excited now to read the body of his work. Your heart! Sometimes you just need the happy ending! I just can’t put down a Richard Paul Evans book! I just want to keep reading because of his great storytelling style. And the characters seem so real to me because they experience some of the things that I have experienced or thought about. I always look forward to his next book. I read this in one sitting. A wonderful story as all of RPE’s books are. How long until his next one? A quick read and another great book by Richard Paul Evans. I always enjoy his books for the holidays and this one did it for 2017. 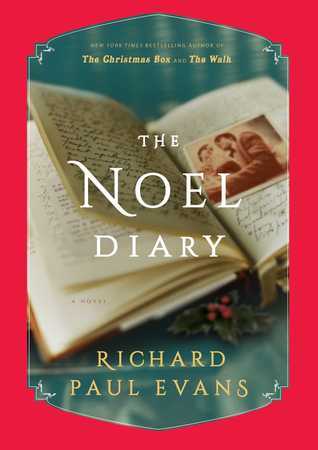 I look forward to Richard Paul Evans annual Christmas novel, and "The Noel Diary" does not disappoint. Jacob Churcher, now a famous romance novelist, is surprised by a phone call from a lawyer informing him of his mother's death. He hasn't seen his mother in over 20 years. His mother was mentally ill, abusing Jacob as a child, finally throwing his things out in the yard and locking the door when he was sixteen. 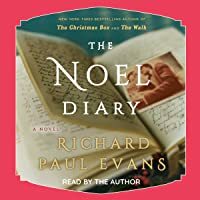 Jacob found a home when invited by a co-worker to stay with them, treating him like f I look forward to Richard Paul Evans annual Christmas novel, and "The Noel Diary" does not disappoint. Jacob and Rachel are two adults who have been wounded both physically and mentally by their pasts. Each has been physically beaten by unstable parents, but both were touched by the same woman who gave them the love their parents didn't. This woman brings them together as they search for her. Both Jacob and Rachel are looking for love that they felt they never got from their parents. This book is a love story on many different levels. Its themes of forgiveness (both self and others), family, love Jacob and Rachel are two adults who have been wounded both physically and mentally by their pasts. Each has been physically beaten by unstable parents, but both were touched by the same woman who gave them the love their parents didn't. This woman brings them together as they search for her. This book is a love story on many different levels. Its themes of forgiveness (both self and others), family, love, second chances, and hope permeate the plot. Evans' writing always feels so real and pulls me into the story. The events that take place are incidents that happen in every day life to families everywhere, but he always show us how problems can be resolved through forgiveness and second chances. The touch of the diary entries throughout was a nice way to see things from Noel's perspective. And I absolutely loved secondary character, Elise. She seemed to be the glue that held so many things together. Very good beginning to his new Noel Christmas series. FAVORITE QUOTES: "There comes a time when carrying the secret becomes more painful than the truth it's hiding." "The only true love is grace. All else is counterfeit." 3.5 It's the time of the year when I start watching Christmas movies and reading Christmas novels. First up this year in books is The Noel Diary by Richard Paul Evans. Jacob Churcher is a successful author. His childhood, however was not as successful. His mother suffered from mental illness and her care of Jacob wasn't great. Now that she's passed away, Jacob heads back home to clean out her house. Being back in his childhood home evokes many memories. When a young woman named Rachel knocks on t 3.5 It's the time of the year when I start watching Christmas movies and reading Christmas novels. First up this year in books is The Noel Diary by Richard Paul Evans. What an enjoyable Christmas tale! The Noel Diary is the start of a new Christmas Series and it was lovely as expected. Jacob is a successful author that grew up with a distant and mentally ill mother. The scars from his childhood are brought to the surface when his mother passes away. Watching him go through the healing process was rewarding. I loved the sprinkling of humor added through Jacob's dry sense of humor. The final pages of the novel were so heartwarming. On the plausibility scale...are What an enjoyable Christmas tale! The Noel Diary is the start of a new Christmas Series and it was lovely as expected. On the plausibility scale...are literary agents really calling their star authors so frequently? Yikes, seemed invasive much of the time. Also, part of the travel section rang as unrealistic, but I moved past that and enjoyed the journey. 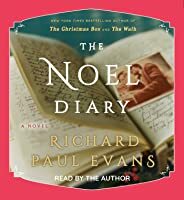 The Noel Diary is Richard Paul Evans 2017 Christmas / Holiday novel. I haven’t read all of his annual holiday novels, but I have read quite a few of them beginning with his debut ”The Christmas Box”, which was one of those “overnight success” stories that you hear about. He followed that book up with two more in the Christmas Box Series, ”Timepiece” (The Christmas Box #2) and ”The Letter”(The Christmas Box #3), and then, annually, he manages to deliver a new book, which seems a bit like a miracle in itself. “More than once, in the hazy dreamscape between slumber and consciousness, I’ve had a vision of a young woman with long black hair that glistens in the sun like obsidian. In this dream I am small next to her and she is holding me close to her breast, singing to me, looking lovingly into my face with her soft almond-shaped eyes. It’s always the same young woman I see. I don’t know who she is or why she haunts the passages of my consciousness. I don’t even know if she’s real. But she feels real. And something inside of me longs for her. Whoever she is, she loves me. Or she did. And I love her. Like most of Richard Paul Evans’ stories, this isn’t so much about the celebration of Christmas as a holiday, as it happens to take place during the season of holidays, but the theme of this story, the search for, the need for love, for forgiveness, and that grace of second chances we seek that to fill those empty holes in ourselves. There’s simplicity to Evans’ prose that I enjoy, a sense of immediacy to his words, as though this story was meant for you to read, as though he’s telling you the secrets of his soul. Baring his soul to you alone. That being said, a steady diet of it would not work for me, but there are times when it is just right. A lovely, feel-good novel, much like some holiday movies, maybe a bit too sweet, but the season is filled with sugar, what's a little more? Richard Paul Evans writes a Christmas themed book every year. This year, I was lucky to be able to pick up The Noel Diary at the library ahead of the Wait List. This book has three well developed characters. Jacob, a young man who is a very successful writer, despite childhood trauma and neglect. Sarah, a young woman, who is searching for her birthmother. Noel, a married woman who lives in the suburbs & is in need of healing. This is a story of hurt, overcoming obstacles, healing, resolution Richard Paul Evans writes a Christmas themed book every year. This year, I was lucky to be able to pick up The Noel Diary at the library ahead of the Wait List. This book has three well developed characters. Jacob, a young man who is a very successful writer, despite childhood trauma and neglect. Sarah, a young woman, who is searching for her birthmother. Noel, a married woman who lives in the suburbs & is in need of healing. This is a story of hurt, overcoming obstacles, healing, resolution & growth. The setting is Salt Lake City. The time frame is in the month of December, but this novel does not seem to be strongly tied to Christmas. I really enjoyed this quick and easy read. It was a perfect choice after reading a more serious non-fiction book and a dark novel. This book wasn't really a Christmas story, but rather a story that takes place around Christmas time. I had a little trouble finding some believability in parts, mainly two people falling so deeply in love in the space of a few days. I found the dynamic of Jacob trying to come to terms with the way his mother treated him as a child a much more interesting part of the book. Overall, this was a quick, decent read. While it wasn't quite what I was expecting, it was still worth the time it took to re This book wasn't really a Christmas story, but rather a story that takes place around Christmas time. I had a little trouble finding some believability in parts, mainly two people falling so deeply in love in the space of a few days. I am having to play catch up on my books through the work exchange, so I was so happy when this book came my way. I love Richard Paul Evans books. They always make me cry, but I think that is why I like them so much, besides being such a quick read. This was a delightful little read about an author who has not been back home in 20 years after his mom kicks him out, only to come home after she passes away. After cleaning out her house, an unexpected visitor shows up at his door, Rachel. She is lo I am having to play catch up on my books through the work exchange, so I was so happy when this book came my way. I love Richard Paul Evans books. They always make me cry, but I think that is why I like them so much, besides being such a quick read. This was a delightful little read about an author who has not been back home in 20 years after his mom kicks him out, only to come home after she passes away. After cleaning out her house, an unexpected visitor shows up at his door, Rachel. She is looking for her birth mother, who used to live with Jacob and his family. After finding a diary, both Jacob and Rachel start to wonder about the mysterious writer and how she is connected to them both. Through heartache they learn they were both searching for the same thing, a mother's love, and in the same time they were meant to be. So when you're reading a book and you don't want to put it down, but you have to go to sleep, not only because you have work in the morning, but it's your turn to drive in the carpool...that frustration is real if you're reading a really good book. The Noel Diary was that book for me. It's in the 'romantic' genre I believe, but for me it's just a good book about...people. Recommends it for: to all who enjoy a holiday story with a special ending. Richard Paul Evans is a master at storytelling! I could hardly put this book down and was excited to see that there will be two more books in the series in the coming years. Why do I keep reading these sappy books!?!? Ugh. No one talks like these people in real life. And people don’t fall in love in 24 hours. And people don’t use the term “even my breasts were weeping” after giving a baby up for adoption. That was a bit much. Geez. Sigh. But I’ll be back to read whatever he writes next Christmas. Because that’s just who I am. I liked Jacob in this story. I felt way sad for him, though. The way he was treated as a child by his mom just made me want to cry. His whole past was just sad, but it made him a great man, a great writer and really just compassionate. I liked that he was willing to work to cl I look forward to these Richard Paul Evans books that come out every year. I love the way he writes, his plots and characters are always so great. His books are always easy to read and just great! This one was no different. Another great book by Richard Paul Evans. I highly recommend this book for all the Hallmark Movie Lovers out there. This book is right up your alley. This was a great feel-good book to read at Christmas time. I can't wait until the next Noel Collection next year. I've read several of this authors books and they're beautiful. Easy and quick and I just can't put them down. This has a 2nd book just released and I will probably eventually read it as well. Richard Paul Evans writes the most wonderful Christmas stores, and this one is no exception! A quick read, filled with grace and love. 3.5 Stars -- The last few Christmases, my mom and i have read the Mistletoe series aloud to each other. She purchased this book before Thanksgiving in hopes of continuing the tradition. Unfortunately, time ran away from us and we never started reading together. I brought the book back with me to read myself and return to her. I'm curious how this would have been to read to each versus how I read it in my mind's eye. When I called her today to let her know that I was mailing the book back, she ask 3.5 Stars -- The last few Christmases, my mom and i have read the Mistletoe series aloud to each other. She purchased this book before Thanksgiving in hopes of continuing the tradition. Unfortunately, time ran away from us and we never started reading together. I brought the book back with me to read myself and return to her. I'm curious how this would have been to read to each versus how I read it in my mind's eye. When I called her today to let her know that I was mailing the book back, she asked how it was. "Is it going to make me cry?" It is good I replied, it might make you mist up with emotion, but I don't know if you will cry. She asked for a general overview and I said, there was child abuse, neglect, abandonment, overbearing control, hoarding, death ..... wait a minute, this isn't a feel good book at all. Actually, when you condense it down, it might be a little too morbid for a holly jolly season. Pretty good book. Definitely not a Christmas story. I liked the Noel part of the story more than I did the Jacob and Rachel part. But I still enjoyed the book. This was definitely a book I could not put down. Definitely want to recommend this book. The book lost me completely when Rachel entered the story and brought "insta-love" and all of her religious undertones with her. It turned sickeningly sweet. Read til page 85, then bailed.